Filling an Easter basket for little kids is so much easier to do on a small budget. You can get a coloring book and a package of crayons from the dollar store, then you add some jelly beans and a chocolate bunny and you’re done. Putting together an Easter basket for a teenage boy or girl inexpensively isn’t quite so easy–that requires some thrifty ninja skills. 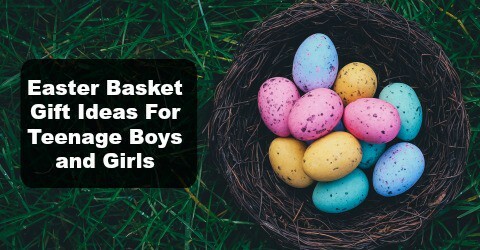 Before I dive into ideas for low-cost Easter basket fillers for teenage boys and girls, let me share a few tips for keeping Easter basket costs low. Use whatever basket you already own or buy one from the thrift store. Teens grab the contents and then leave the container behind anyways. 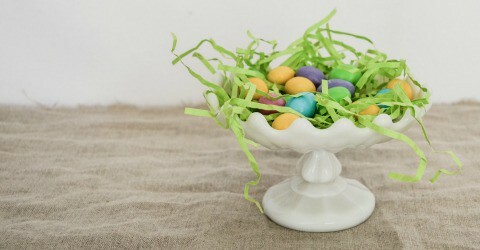 Use less “Easter-themed” candy and more “regular candy. Trust me, teens love all types of candy so it isn’t necessary to get 100% Easter-themed candy. Buy just one or two most loved Easter candy items like chocolate bunnies or a bag of chocolate Easter eggs. Then save money by making the rest of the candy regular, everyday wrapped stuff. 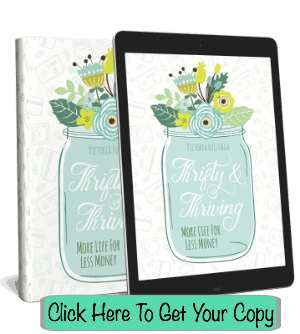 Watch sales and use apps to save money. Three apps I use to save money at the grocery store and on other purchases are FetchRewards (use referral code RE9FU to earn a sign-up bonus–groceries only), Ibotta and Shopkick (sometimes you don’t even have to earn a thing to save with this app, just walk in the door). Use Swagbucks, PrizeRebel or a variety of other excellent point reward programs to earn gift cards and put them in the basket. Teenage boys love iTunes, Amazon and GameStop and all three are available through Swagbucks. My boys love basic summer Flip Flops for wearing to the beach and pool during summertime. Adding a pair to their Easter basket is a practical yet appreciated gift. The large majority of teenage boys have a cell phone, making accessories for it a great Easter basket filler. Portable Chargers: These are so handy and this particular one is small enough to fit in a pocket.
. Cell Phone Grip: Reduce the chances your teen drops his cellphone and cracks the screen by including one of these popular PopSockets in his Easter basket. Stick On Wallet: It has been my experience that teens often forget their wallets, but they are never without their cellphone so why not help them combine the two with a stick on wallet for their cellphone so that they will always have their ID and some money handy. A keychain that has a clip on one end makes it just a bit easier for teens to keep track of their keys. It is not just teenage girls who are into how they smell and how their hair looks. A jar of hair cream or a bottle of body spray makes a great addition to a teenage boy’s easter basket. I see a lot of teenage boys wearing paracord bracelets. This particular one comes with various tools that would be handy for exploring, including a compass and a whistle. My son has had several small, inexpensive portable speakers similar to this one over the years. He loves their portability. They don’t last forever, but they will get used and loved until they stop working. Most teens use laptops for school and love to personalize them–laptop stickers are a great way to do that. Got a Star Wars lover? They would probably like this sticker. Are they more of a Harry Potter fan? Then perhaps this sticker is a better fit. Teenage boys are big on t-shirts with funny sayings. 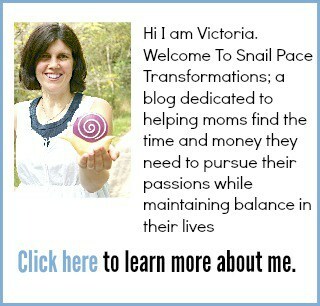 Psst…I have gotten several graphic t-shirts for my boys at good prices through Zulily. My one son loves Archie comics and although the current prices for them make my thrifty self gasp, they make a great Easter basket filler that I know will literally be loved to death (he reads and rereads them until the pages fall out). Cash in those Swagbucks or other point reward program points for whatever the teenage girl in your life is into. For my daughter it would be Starbucks cards or iTunes cards. Nail polish is big in the teenage girl world. Many stores carry little pots of it for just $1 each. If she already has more shades of nail polish than you can count, consider putting a nail art set in her Easter basket. My daughter squealed when I gave her an EOS lip balm, so I am guessing these are sort of a big deal for girls. This age group is all about the secrets shared only with their diaries and the good news is a basic journal is fairly inexpensive. I don’t think you will ever hear a teenage girl say “I have too many flip flops!” So if you include a pair like these in her Easter basket, it is a pretty safe bet that they will get used. I am pretty sure my daughter has magical talents in the art of making simple black hair elastics like these disappear and I hear she is not the only one. Can a teenage girl ever have enough headbands? I have noticed a lot of teenage girls wearing this wider style of headband lately. This charm bracelet set is available on Amazon and would make a great gift. 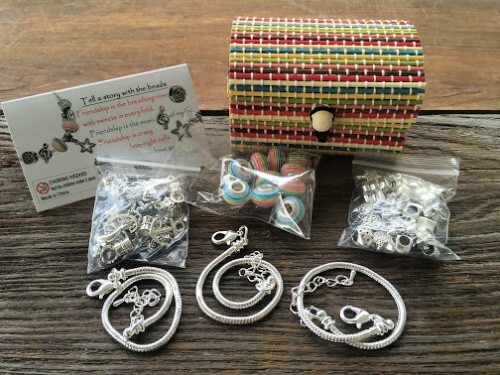 It contains three charm bracelets and more than enough charms for each one. JustBe was kind enough to send me a set and I am super impressed by the quality and the number of items you get in the kit for one low price. Put this in an Easter basket for your teenage girl and all you would need to add is a chocolate Easter bunny and some jelly beans. A few more online sources for finding inexpensive and fun jewelry are Groupdealz, Jane.com, and Cents of Style. I don’t think I have ever met a girl in this age group that doesn’t like doing some type of craft. Whether it be beading, sewing, scrapbooking or knitting, you could add some supplies for their favorite craft to their Easter basket (here are a few ways to save money purchasing craft supplies). Pretty smells are big with this crowd and they love bath bombs. 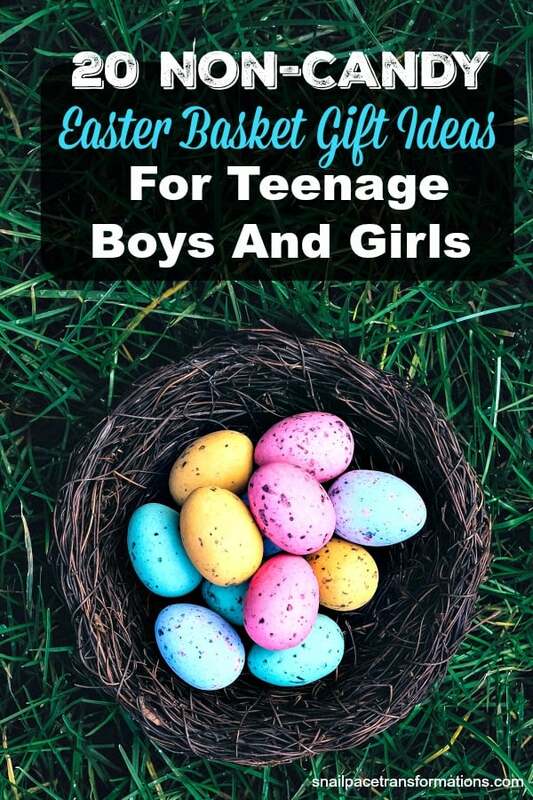 Got several Easter baskets for teenage girls to fill? Save money by buying a set of bath bombs and splitting it up between the baskets. Put something in your teenager’s basket to remind them each and every day of the true reason we celebrate Easter. The daily devotional Jesus Calling is a powerful reminder of how much Jesus loves us and wants to have a relationship with us. Want More Easter Basket Ideas? 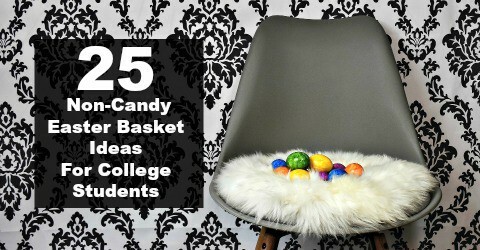 Check out my post on Easter gift ideas for college students.